As Jalopnik’s resident car buying expert and professional car shopper, I get emails. Lots of emails. I’ve decided to pick a few questions and try to help out. This week we are discussing the frustrations of selling a car, pricing between the 2018 and 2019 Mazda Miata, and the risks of helping friends with car purchases. First up, who knew a used Jeep Wrangler was a hard car to sell? So I’ve got a 2-year-old Jeep Wrangler (Unlimited Sport, 2017 JK, manual, softop, less than average miles) I decided to sell a few months ago because I realized I hate having a payment. One of the reasons I bought a Wrangler was the excellent resale value. I’ve had it listed for two months at $1000 under blue book and nary a bite or a whisper. In fact, the only interest I’ve gotten is from dealers looking to buy at well under even dealer trade blue book. One dealership I talked to has even gone so far as to lower their offer by $3000 over the last couple months. What’s going on here? I figured especially with the new JL’s having frame-warping issues and my below market price it would have been an easy sale. Instead it’s impossible. 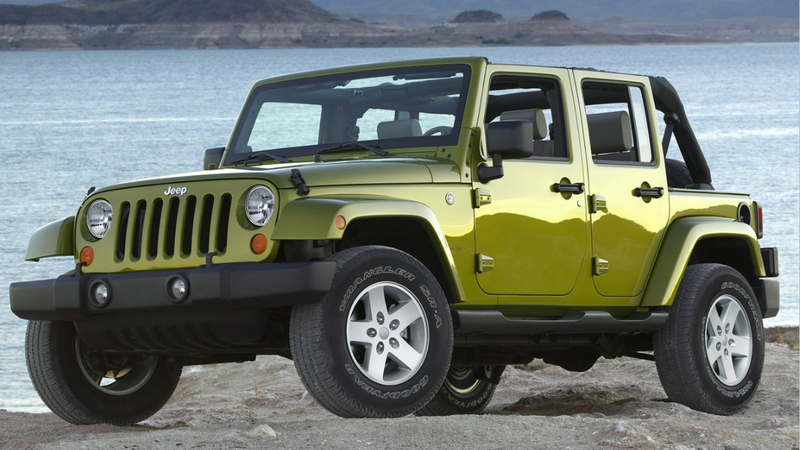 A Wrangler is a desirable car, and it seems you have done your research on pricing. But when it comes to finding a buyer the devil is in the details. I think the problem, in part, could be the combination of the manual gearbox and its Sport trim. While the right buyer likes that specification, the pool for automatics is far wider. Also, folks tend not to go for the base models. The other could be the price. If your car is on Autotrader or a similar site, look at comparable cars in your area and try to objectively answer the question: When comparing price, specs, and miles which one of these would I buy? Try and keep your pricing competitive to what’s around. Next up is the potential savings on a 2018 Miata worth the performance sacrifice over getting 2019? To answer the first part, $6,200 in savings on a brand new Miata is a fantastic deal. But the follow-up question is where this get’s complicated. The 2019 Miata is really good and noticeably better than the 2018 car. A 2019 Grand Touring with a manual has an MSRP of $31,700, so it’s hard to imagine that the new car is $6,700 better. However, you aren’t likely to pay full retail for the ‘19. What I would do is comparison-shop the best deal you can on a 2019 car and see how much you can close the gap between the ‘19 and the ‘18. For example, suppose you got a $2,000 discount on a ‘19, now the gap is $4,200. You may decide the extra power and features on the upgraded car are worth that premium, or you may not. But I would recommend you run the numbers both ways to make that call. Finally, is there any real risk in helping friends with their car purchase? “I recently had a co-worker ask me to help her locate a CPO car for her and in exchange, she offered to give me her old car. I’m not particularly fond of her 2002 Lexus, and will likely look to trade for a motorcycle or cash for one. First of all, good for you for helping a friend. I suspect most of our readers have been in a similar position. In fact, I was in that position so many times I got to the point where I started asking people to give me money to do that. In regards to the risk, you are under no real “risk” from a legal perspective for helping a friend. At the end of the day, it’s her decision, her money and her name on the contract. She is using you for support, advice and probably some legwork in working with dealerships. Furthermore, it’s a CPO Lexus, so that’s a pretty safe purchase. Now of course, as you have already mentioned, if things go bad with the car you may be at risk when it comes to your friendship.